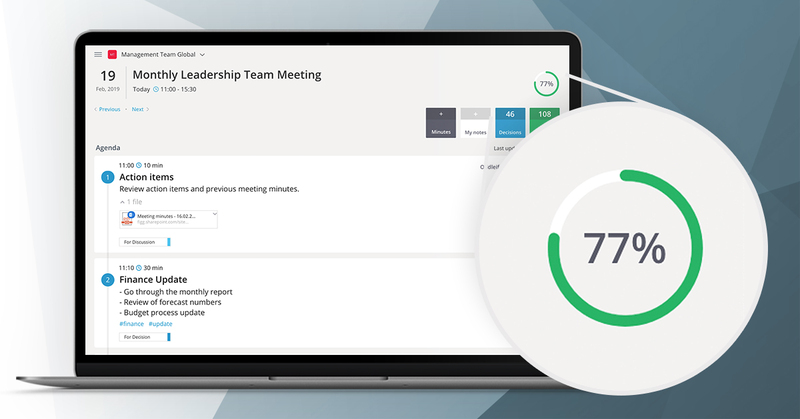 submit topics, upload files and collaborate on the meeting agenda with ease. 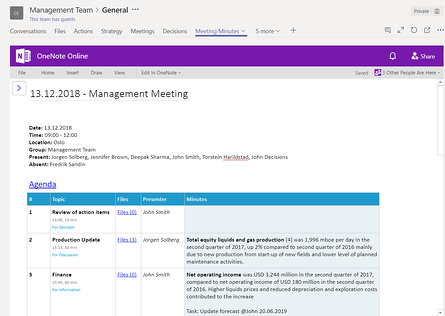 Decisions for OneNote automatically imports the agenda into a meeting minutes template, with the relevant information held within the group’s shared notebook for easy note-taking and tracking. Agenda Management: The agenda updates immediately, while preserving the existing meeting notes, when topics are added, removed or reordered. Execute Tasks and Outcomes: Decisions recognizes and picks up tasks and decisions from the meeting minutes and syncs them within Microsoft Planner. Team members can manage their deliverables and outputs to keep initiatives on track. If you haven't already, download Decisions Meeting Secretary for Microsoft Office 365.